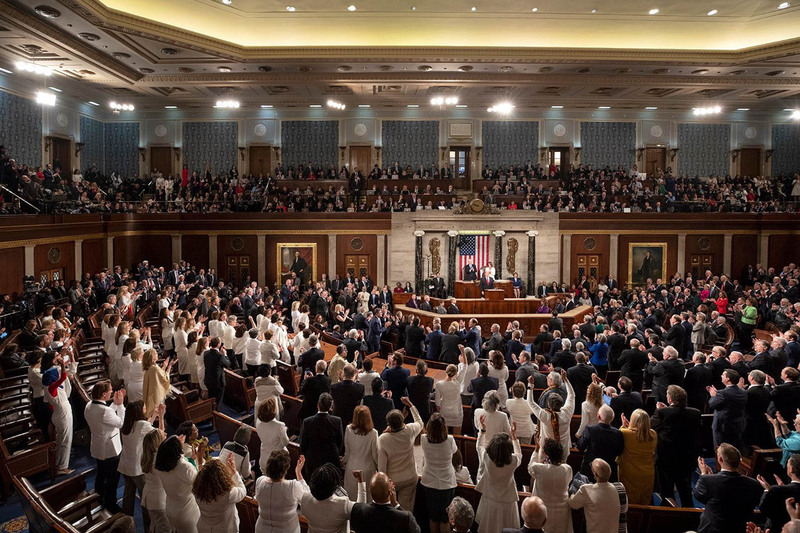 Having been forced in my youth to wear a uniform designed by the communists who dictated our daily lives, every move and breath we took, you can imagine my dismay at seeing the Socialist Democrat women appearing dressed in white at the State of the Union (SOTU) address of President Trump last night. Were they channeling the White Ladies of Havana, Cuba, who march in silence every Sunday after church to protest the communist regime on behalf of their fathers, brothers, and sons who were jailed and tortured by the Castro brothers’ totalitarian regime for their anti-communist beliefs? This Soviet-funded and supported rule had destroyed the formerly prosperous island and had brought it to the brink of disaster and total servitude to a tyrannical regime that still pretends today to care for the impoverished proletariat while the elites in power add millions to their bank accounts in the west. Were the white-clad Democrat women channeling the abortionist white lab coats, the “angels of death” that kill the innocent unborn under the guise of “choice” and then use their discarded and carefully selected body parts for dubious research? Were they channeling the racist white-hooded KKK? Were they channeling the non-existent and invented “white privilege” they’ve been bombarding our society with in the last ten years, poisoning the waters of civil discourse and destroying any divergent ideas in public or in academia? Were the white outfits an expression of innocence? If so, whose innocence? White and environmental green must be the new red for these Democrat Socialists in Congress. The sad part is that they were elected to high office by indoctrinated Americans and illegal aliens to represent all of us. They are ruling over our lives without any deception and pretense that there is equal representation or a separation of powers. They flaunt their alliance with a supine academia and media who read on air the daily socialist Democrat message supplied on Teleprompters. Teacher and best-selling author Ileana Johnson lived in Romania, under Communist rule, for two decades. Follow her blog, where this commentary was first published.